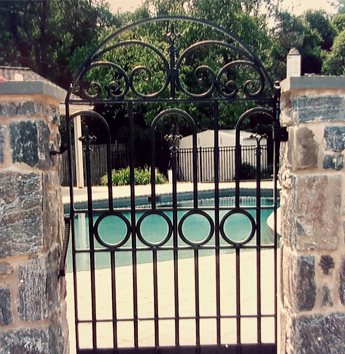 At Rapuano Iron LLC, we specialize in designing custom gates to match aging property fencing. 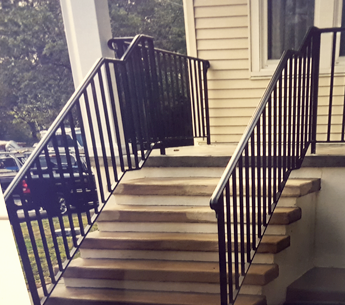 If you have a property in Wilmington, Delaware, that needs a deck railing or new fire escape, we can take care of that, too. We can design and install security gates and private gates for both residential and commercial purposes. Whether you want to increase the curb appeal of your home or provide your family with more privacy to enjoy your home, our quality gates are sure to meet all your needs. In addition to competitive pricing, we provide a free estimate for every project. From standard iron railings to decorative aluminum railings, we can add security and elegance to your property with any of our custom products. Ensure your business is up to code and minimize legal risks by installing reliable hand railings for your customers. Whether you're a homeowner or business owner, chances are you could benefit from the safety, stability, and character that our handcrafted railings add to any property. We can manufacture the railings to fit any size specifications that you require. If you need strong security bars on the windows of your property, we can provide standard or decorative options. Protect your assets and keep intruders out by installing security bars on the windows of your building. Our security bars will give you the peace of mind that your property is safe, even when you're not there.